Chicago’s the type of city where you have options for nearly anything you could imagine. If you feel like hanging out inside a dark and quiet lounge instead of a loud, raucous bar, the city will provide you with dozens of places you’ll love. If you’d rather enjoy a pricey plate instead of a homemade meal, you can rest assured that any chef in the Windy City would be glad to make your entree. When it comes to apartments, there are just about as many options as anything else you could think of. One great debate seems to be more present than any other: should you choose a building with a doorman or one without? Like most things in life, there are pros and cons to each option. The building that’s best for you may not be a great fit for your friends or family members. It’s a very personal choice—one that’s best made after evaluating all the pluses and minuses available in either case. Let’s take a look at the pros and cons of living in a building in Chicago that has a doorman. We’ll start with the positive features of doorman-guarded buildings. Great doormen pay attention to everything. That means they’re watching who comes into and out of the building, who might be loitering on the property, and which faces look like they don’t belong. The people who are approved to go into a doorman building have been vetted by the professional person who knows how to keep his (or her) building as safe as possible. When you’re away at work all day, it can be hard to plan your schedule around picking up packages. If you live in a building without a doorman, you might have to rely on your neighbors to keep an eye out for your boxes when they arrive. Even then, you’re leaving a bit of your package-delivery success to luck. Doormen eliminate this unwanted shuffling of the clock. They’re there to get your packages and secure them until you’re able to pick them up. And, what if you have someone coming over to clean your place, such as a maid service, while you’re away? Don’t worry! Doormen do that duty, too. They’ll let your housekeepers in and make sure no one’s there who’s not on your list. It’s so nice to have someone open the door for you when you have your hands full, but doormen don’t care if you’ve got anything in your hands or not. They provide the intangible service of ensuring the people in their building feel special. Having someone open the door for you makes you feel like you’re a celebrity, no matter how un-famous you are. Doormen greet you with a kind smile and wish you a great evening when you leave. Many of them offer concierge services that’ll enable you to make the most of your city with insider tips and special reservations. Trudging those last few steps after you’ve already hiked a few blocks with groceries in-tow can be excruciating. Coming back from a trip where you’re juggling tons of luggage poses another awkward situation in terms of getting from here to there. There are plenty of ways people need assistance every day, and a great doorman will do his best to mitigate stressful situations when they arrive at his building. He’ll help you lug that luggage into the building and will take it upstairs for you if he’s able. He’ll open the door when you have your hands filled with groceries, and he’ll probably suggest a good recipe, too. Whether you simply need help navigating the lobby, or your shopping excursion has taken you past the limits of carrying bags by yourself, your doorman will save the day. Now, let’s look at some of the reasons people choose to live in non-doorman buildings in Chicago. Doormen don’t necessarily care what you’re doing or who you’re doing it with, but they are watching. By default, their job is to no one—and nothing— comes into the building without authorized access. That means they’re paying attention to the guests you’re bringing onto the property and the packages they’re signing in your name. If you’re a stickler for a quiet life where nobody knows what you’re doing or who you’re hanging out with, a doorman building is probably not your best option. Doormen aren’t volunteers. They’re professionals, and most of them take their jobs very seriously. As such, they expect to be paid the type of wage worthy of someone who looks after the safety and well-being of an entire building. 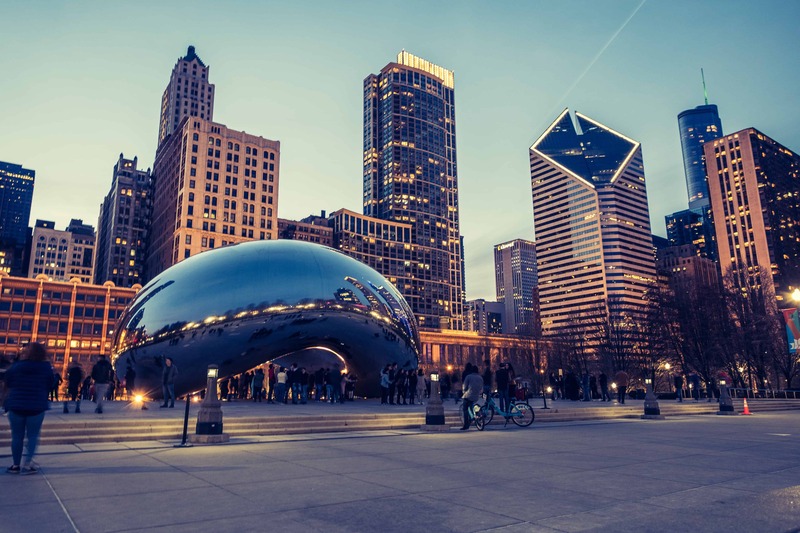 While you won’t see an invoice from your doorman directly, you will incur the expenses by way of rent that’s higher than that of no-doorman buildings in Chicago. For many people, this is the trade-off cost between saving money and maybe having some extra living space or paying a higher monthly fee in favor of a bit of luxury. If you’d prefer to forego higher rent in favor of a bit of savings in your pocket each month, you might be better off looking for a building that doesn’t employ a doorman. If you live in a doorman building, your base costs are covered by your rent or the monthly fees you pay your property manager or HOA. The expenses don’t stop there, however. A large portion of doormen’s income is derived from tips, particularly around the holidays. Although you’re certainly not required to tip your doorman, you can be certain that he is keeping tabs on the residents who have failed to show their appreciation monetarily. If you don’t tip your doorman, he may accidentally forget to open the door for you when it’s pouring rain outside, or perhaps he won’t be there to sign for our package. Is it professional? No. Does it happen? Absolutely. It’s best to factor in the cost of a tip every now and then to ensure you’ll be getting the service you’re ultimately paying for if you choose a doorman building. Chitchat can be a bonus for people who like to interact with a familiar face every day, but for people who’d prefer to run through the lobby and get into their homes without interacting with another human being, doorman buildings can create uncomfortable situations. By nature, doormen tend to be pretty social people who care about their residents and want to hear about their lives. If this scenario makes you cringe, you’re probably better off looking for a place that doesn’t have an attendant. Don’t rule out individual apartments until you see them for yourself. Be sure to write down a list of pros and cons as you go exploring. If not having a doorman is a deal-breaker, tell your Realtor upfront. However, if you’re open to exploring the possibilities that could be found in buildings that don’t employ doormen, set some time aside to explore both options. You’ll probably know which place is right for you as soon as you walk into the building.